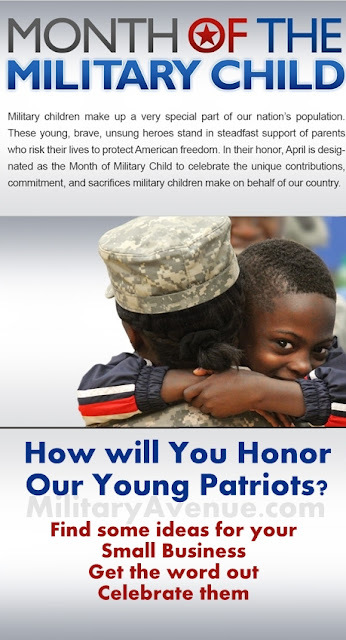 Offer a discount off the family's purchase in honor of their military child. Now that you have decided what you are doing to Celebrate Month of the Military Child let us know. Build your free ad at MilitaryAvenue.com or update your current ad. Let's make this month something for the military community to get excited about!